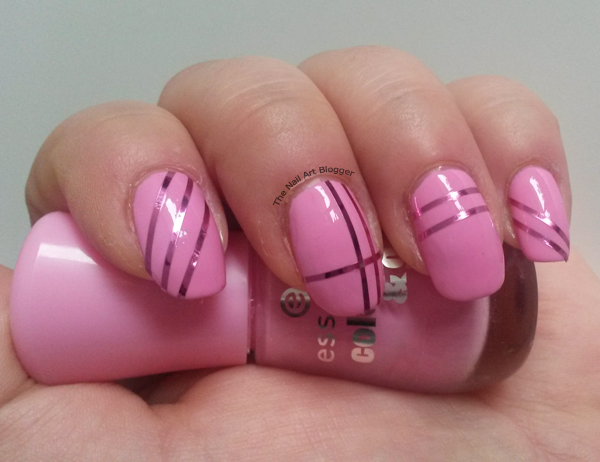 I started off with a base coat and topped it with two layers of #106 free hugs by Essence. 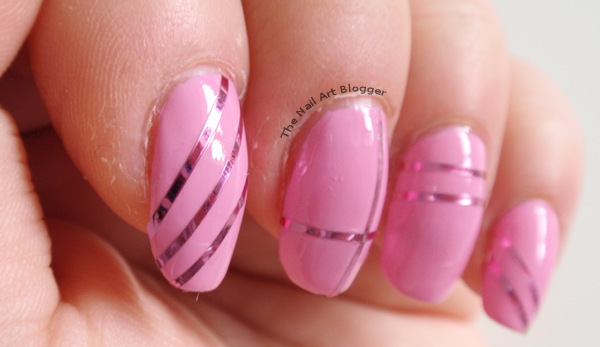 After it was completely dry, I grabbed a metallic pink striping tape, and started placing it over my nails as shown in the photos. 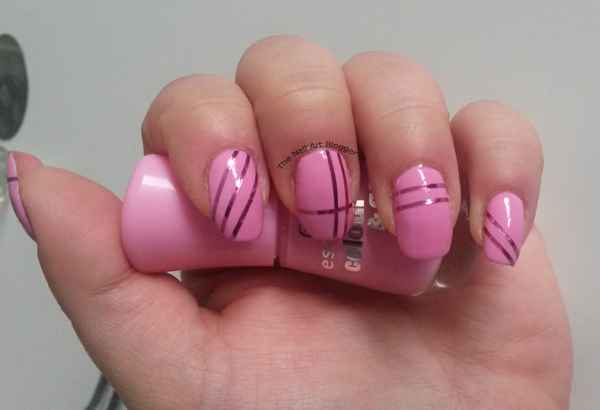 In the end I added a layer of top coat. 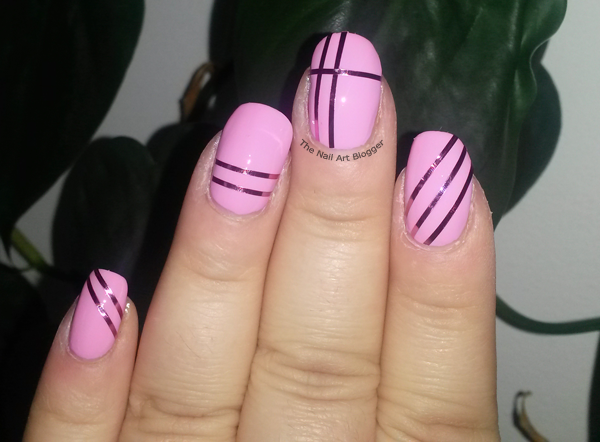 I used the 8in1 nail wonder by P2. Even though it's a very simple design, I really like how it ended up. 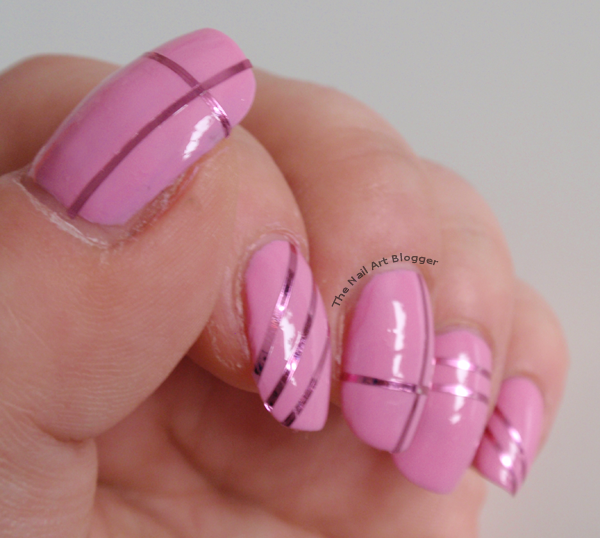 aww.... i love this colour , and you 're so good with your hands. Love the design it's simple but i love it. Love the mixture, and your blog. I nominated you for a Liebster.